Have you ever tried harp therapy? We’d been at the harp and lyre maker Abraham ‘Abe’ Acala’s home in Paete for less than 10 minutes before he asked us to settle down and listen to him play the harp. We gladly did, after the obligatory introduction and pleasantries. After all, it’s not every day someone plays the seemingly divine instrument exclusively for us. Acala sat upright, cradled a 29-string harp carved with a golden “A” in Baybayin, and started playing an unfamiliar yet friendly piece. After the heartfelt plucking, the atmosphere in the living room changed from beat to refreshed—one of us from the team almost cried. His improvised piece, conceived according to what he was feeling at the moment and guided by patterns and chord progressions, was meant to put us at ease after the three-hour drive from Makati to the quaint, artistic town in Laguna. It was easily a social lubricant, one meant to loosen the mood of the space. Abe Acala is professionally trained in trumpet, but he found his calling in harps and lyres. As an aspiring certified harp therapy practitioner, Acala knows this very well. He plays at the Dialysis Center at Laguna Doctors Hospital in Sta. Cruz, drowning the harrowing sounds of almost 20 machines in the ward, diverting the patients’ attention, and helping them breathe. He harps for his wife’s nervous patients at her dental clinic, overpowering the noise of the dental drill, keeping time at 60 to 80 beats per minute to regulate their heartbeats. He even played the harp to help his 74-year-old mother manage her seizures sans the sedatives. 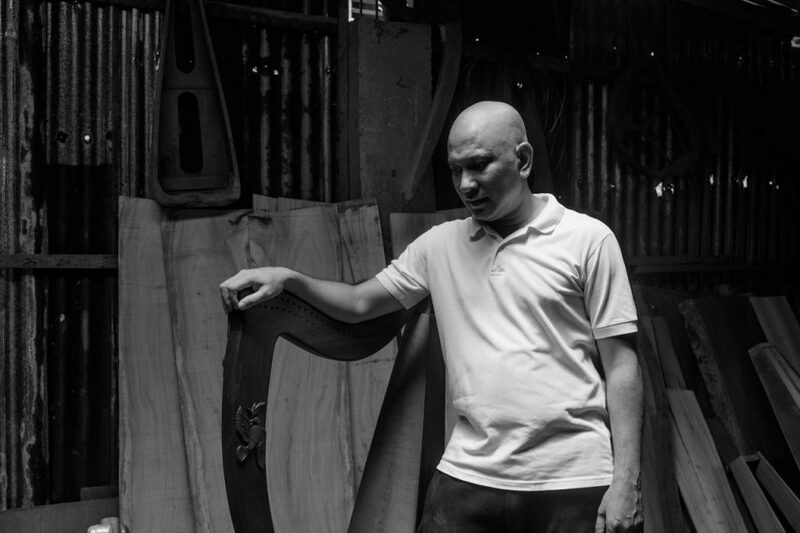 Acala’s passion for harp playing started eight years ago when he began handcrafting his own instruments. “A parent from Manila Waldorf School asked me if I know someone from Paete who makes lyres,” he says. 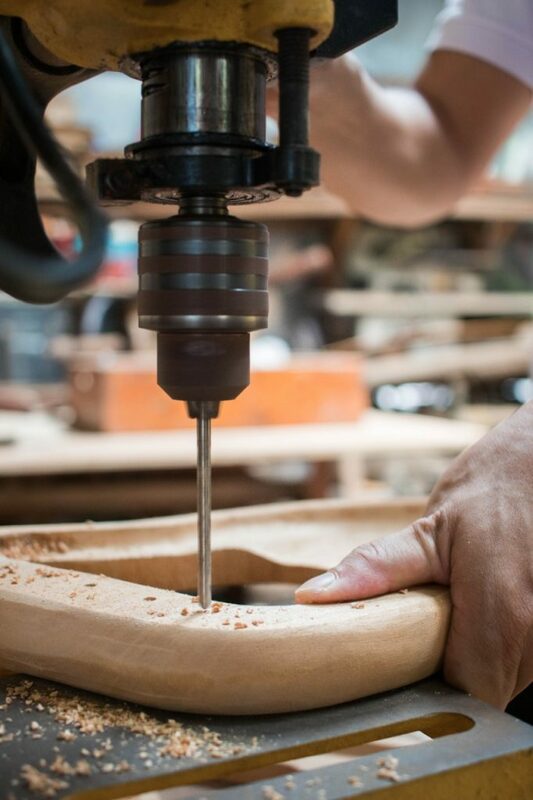 Being born and raised in that town, the country’s woodcarving capital, he knew that he could learn to do it, and with some wariness, he told the mother that he would try. The way Acala forges his instruments is still mechanical—with clamps, triangles, etc.—as in this way, he feels more connected to his craft. He went back to his hometown that summer and crafted his first lyre. 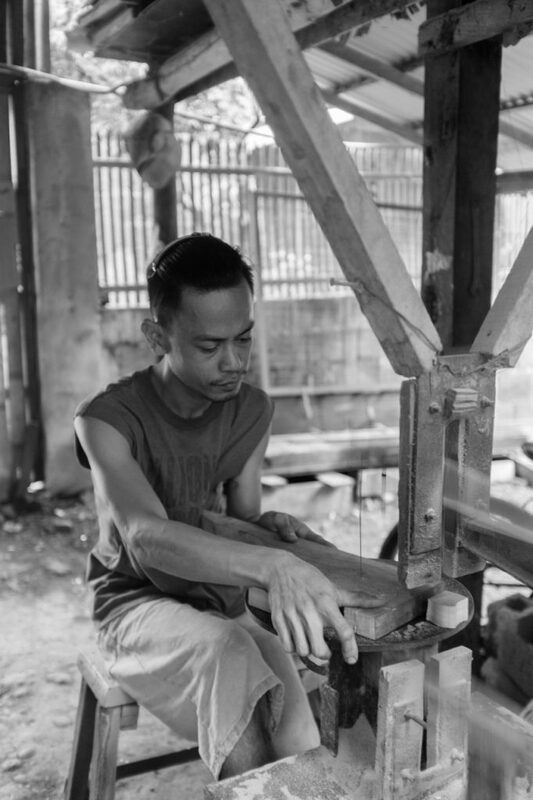 Acala is the firstborn of a woodcrafter in Paete. He grew up with workshop machines— band saw, circular saw, planer, you name it— helping his father with their family business. “But I hated being in our wood workshop there; the machines were painful to the ears. E gusto ko pa naman’g mag-aral ng musika,” Acala laments. He later studied trumpet and piano at the University of Santo Tomas Conservatory of Music and taught music at La Salle Green Hills for eight years until the family man in him told him to stay with his wife and two sons in Paete. 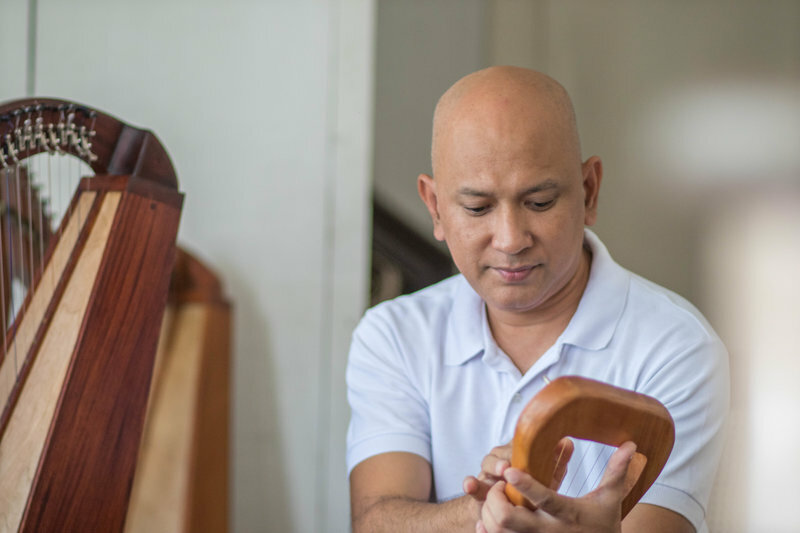 Since 2008, he’s been teaching woodwork at Acacia Waldorf School in Sta. Rosa. Upon making his first lyre, he asked himself, “Why am I affected by this instrument so much?” He challenged himself to craft more lyres, bigger lyres, and then finally, harps, the instrument that struck him so much that he wanted to explore its therapeutic properties. He’s back to his family’s almost 60-year-old workshop three times a week. “Harp is really distinct from other instruments. It’s forgiving, uplifting, healing. 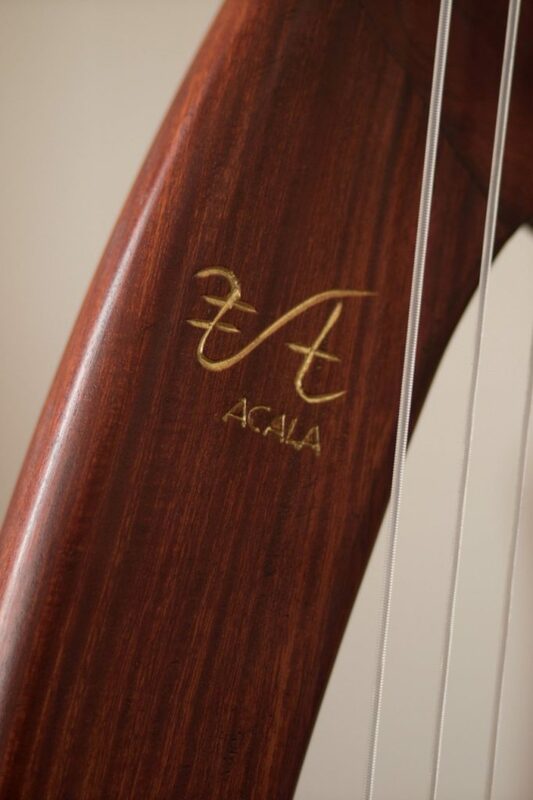 I really believe that the sound of harp paves a way to forming a peaceful nation,” Acala says. Just two weeks ago, he was invited to present his tailor-made harps and lyres at the Southeast Asia Music Therapy Conference in Jakarta. 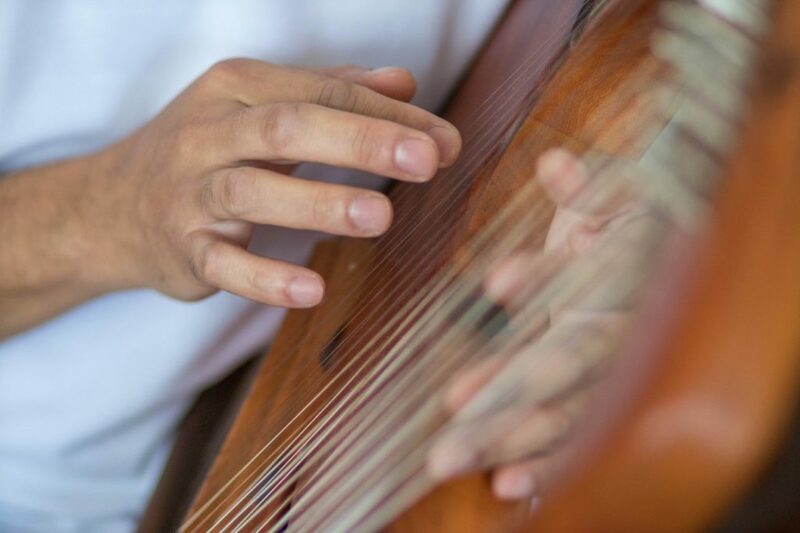 “I showed that there’s a harp and lyre maker in Southeast Asia and that they won’t have to be afraid of buying these fragile-looking instruments anymore.” As of now, his harps have reached Hong Kong, Singapore, and Japan. The business is going strong. 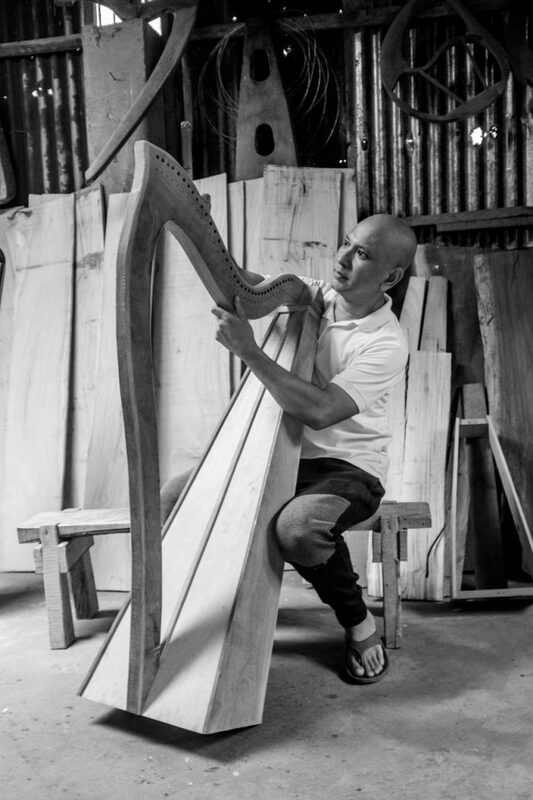 He recently produced three harps made from jackfruit wood from an endemic tree in their town, yielding beautiful resonance when crafted to an instrument.